O/o the Directorate of Economics & Statistics, Assam. 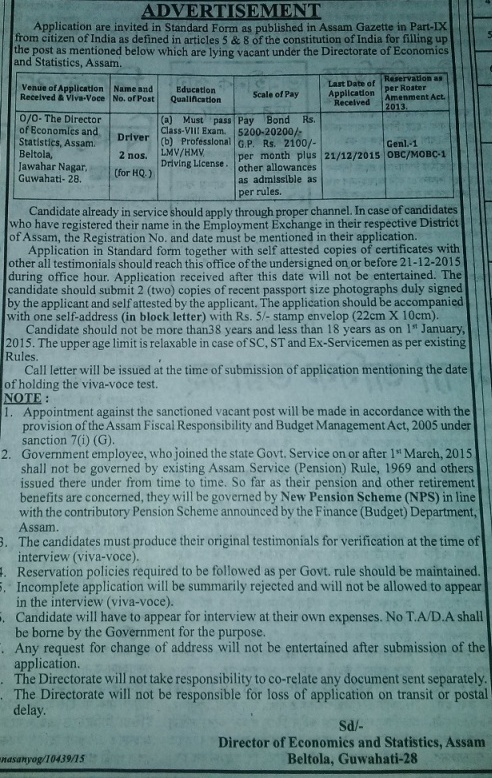 Applications are invited in Standard Form as published in Assam Gazette, from citizens of India for filling up of the following vacant posts under the Directorate of Economics & Statistics, Assam. Educational Qualification: Class VIII passed and having professional LMV/HMV Driving License.